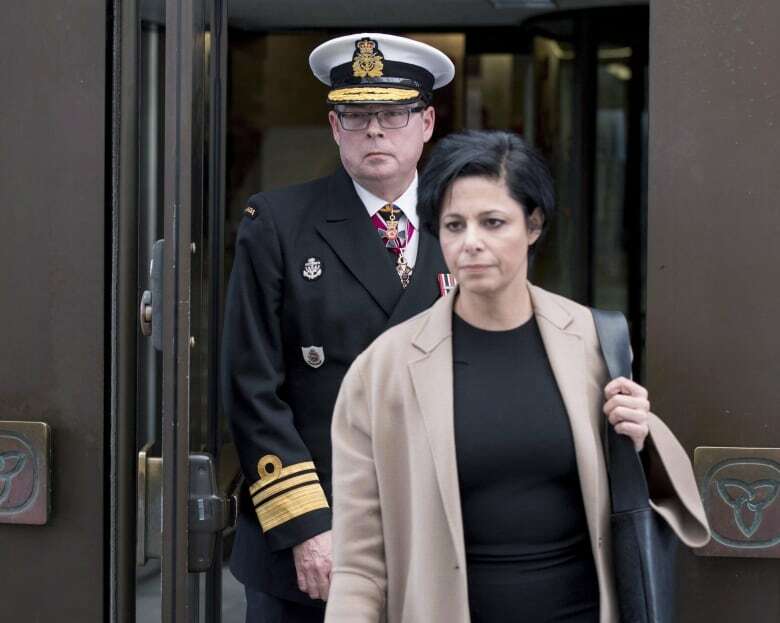 Federal Conservatives made a pitch today — in the wake of the SNC Lavalin affair — to turn the criminal case against Vice-Admiral Mark Norman into the spinoff political scandal of the spring. While the pace of the SNC-Lavalin scandal could start slowing down now, following the ejection of both former justice minister Jody Wilson-Raybould and former Treasury Board president Jane Philpott from the Liberal caucus this week, Conservatives effectively served notice Friday that they’re not letting the Liberal government off the hook over allegations of political interference in criminal cases. “We aren’t going to turn the page on the rule-of-law corruption from this government,” former Conservative veterans minister Erin O’Toole said Friday as debate began on an opposition motion which, among other things, repeated a demand that the federal government cover Norman’s legal bills. The motion also insisted that senior political staff and bureaucrats around Prime Minister Justin Trudeau sign “an affidavit affirming that no evidence or records” related to the criminal case against the former vice chief of the defence staff have been destroyed. The Conservatives have made similar demands before as they’ve pressed the Liberal government to account for inconsistencies and allegations of political interference in the prosecution of Norman, who faces a single count of breach of trust. The Crown accused of him of leaking cabinet secrets to a shipyard executive and a CBC journalist related to a $668 million deal to lease a supply ship for the navy. Former justice minister Jody Wilson-Raybould referenced the Norman case in her secretly-recorded conversation with Clerk of the Privy Council Michael Wernick, suggesting alleged attempts to interfere in SNC Lavalin’s prosecution could taint the public’s perceptions of both the extradition of Huawei executive Meng Wanzhou and the Norman case. “Canadians should be outraged,” said O’Toole. The parliamentary secretary for the justice minister, Arif Virani, responded — as the government has before when faced with questions about the Norman case — by chastising the opposition for talking about a matter still before the courts. Norman’s lawyers will be back in court in two weeks to resume their fight for access to federal government documents to prove their theory that his prosecution is politically motivated. The federal government has released a few thousand pages of internal documents, but many pertinent ones — including Wernick’s 60 page memo on the case to Trudeau — have been redacted due to solicitor-client privilege. The Conservatives repeatedly have sought assurances that government documents related to the case have not been destroyed. They’ve attempted to connect the handling of Norman’s case against Norman with a scandal that erupted in Ontario over the cancellation of gas plant construction under the former Liberal government of Dalton McGuinty. Government records were destroyed in the course of that scandal. O’Toole pointed out that many of Trudeau’s government’s current and ex-senior advisers served in the McGuinty government, or its successor under former premier Kathleen Wynne. “That was the same crew that brought us the billion-dollar scandal in Ontario,” he said. The RCMP have separately charged a mid-level federal government procurement official with leaking cabinet secrets related to the same shipbuilding deal. The opposition motion will be voted on next week.